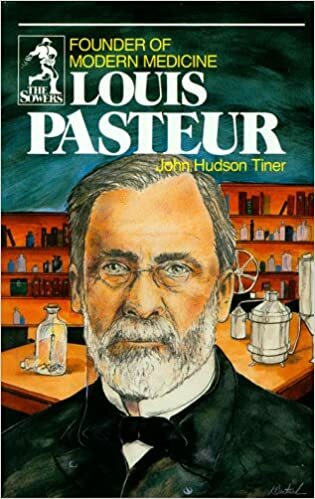 Louis Pasteur (1822 – 1895) was a French chemist and microbiologist who developed antidotes and cures to many dangerous illnesses such as anthrax and rabies. He also successfully invented a way to pasteurise milk and make it safe from tuberculosis. Pasteur also illustrated how germs grew from contamination and disproved the theory of spontaneous contamination. Louis Pasteur was born in Dole, Eastern France. He was a conscientious and hard-working student, though not considered exceptional. One of his professors called him ‘mediocre’. He received a doctorate in 1847, and after obtaining posts at Strasbourg, Lille and Paris, he spent much time researching aspects of Chemistry. One key discovery related to research on tartrate acid showing the crystals contained a mirror image of right-handed and left-handed isomers. His most important discoveries were in the field of germ study. He showed that germs required certain micro-organisms to develop; using this knowledge, he found that the fermentation of yeast could be delayed. 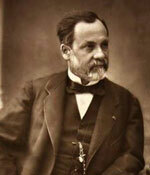 Louis Pasteur then turned to practical ways of killing bacteria in liquids such as milk. His process of pasteurisation successfully killed bacteria in milk without destroying milk protein. This was a radical discovery and made drinking milk safe. The process of pasteurisation was named after him, and it saved many lives. In the 1870s, Louis Pasteur sought to find a cure for anthrax – a disease that mainly affects cattle. Firstly, he found anthrax was much more likely if farmers buried dead sheep with the disease in fields. Pasteur was able to advise farmers not to bury any dead animals in areas where cattle may graze in the future. In 1881, he conducted an experiment to implement his vaccine for anthrax, which was successful. The previous year, in 1880, Jean-Joseph-Henri Toussaint, a veterinary surgeon, used carbolic acid to kill anthrax bacteria. Pasteur used a similar method, but his greater fame gave him the bulk of the credit and commercial demand. The success of a cure for anthrax encouraged Pasteur to develop a cure for rabies – a very common disease at the time. Using similar principles, he developed a weakened strain of the disease. Testing on animals affected with rabies was successful; however, he was reluctant to test on humans for fear it might not work. At one point he considered testing on himself – subjecting himself to rabies and then trying his cure. However, before he could implement his scheme, a young boy was brought to him who had been bitten 14 times by a rabid dog. His parents agreed to try the uncertain new technique. His treatment was a success and news of the treatment soon spread. Over 350 people came to Louis Pasteur for treatment. Louis and his team of scientists worked around the clock to save the people who had contracted rabies. There was only one failure a ten-year-old girl Louis Pelletier. Louis knew the dies ease was too advanced when she came, but, he tried nevertheless. The girl died in his arms, with tears in his eyes, the great scientist said to her parents. Louis Pasteur had great faith in the good nature of humans. He worked tirelessly to deliver real benefits for the treatment of infectious diseases. More than any other person, Louis Pasteur helped to increase average life expectancy in the late nineteenth and early twentieth Century. Citation: Pettinger, Tejvan. “Biography of Louis Pasteur”, Oxford, UK. www.biographyonline.net, 18th Feb. 2008. Last updated 17th March 2017.